Oil Company major Indian Oil Corporation (IOC) will use 50 acre of the defunct Dhuriapar cooperative sugar mill in Gorakhpur, to erect a world class ethanol plant. 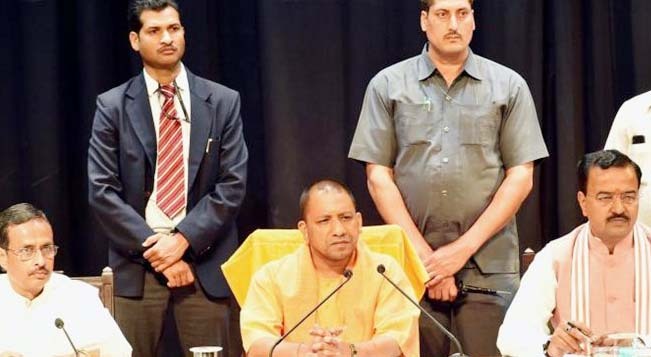 The decision was taken by Uttar Pradesh Cabinet chaired by Chief Minister Yogi Adityanath. IOC has pledged to invest Rs 8 billion in the project. Dhuriapar Co-op Sugar Mill has about 100 acres of unused land, half of which had been pledged to the Oil major in Thursday meeting of the Cabinet, reports Business Standard. Earlier, the Chief Minister had directed the cooperative department to take steps to kick start half a dozen dead distilleries. The government will spend Rs 1.56 billion on it. The six distilleries are projected to process 0.28 million tonnes (MT) of molasses (a sugar byproduct) annually to produce ethanol and organic manure. Believing that ethanol is a game changer, Modi govt has been focusing on it right from the start group of ministers has held several meetings to deliberate on the production of second generation of ethanol. Petroleum Minister Dharmendra Pradhan has been one of the participants of such meeting and IOC decision to invest in UP is seen as having his support. Ehanol production involves non-food feedstock, role of farmers assumes importance in it, says Nitin Gadkari-another enthusiast of the idea. Being economically viable and environment-friendly ethanol has been under the consideration of the govt which is now planning to go for it in a big way. It is also part of the govt new new policy on non-conventional resources as it plans to take up ethanol blending in petrol to 22.5 per cent and in diesel to 15 per cent. The govt aim to cut down on crude oil imports which cost Rs 7 lakh crore per annum to the exchequer. As a matter of policy the government has promised to purchase the entire quantity of ethanol produced by the industry. Besides sugarcane, the second generation ethanol involves production from bamboo, rice straw, wheat straw, cotton straw etc to power vehicles. It can do wonders for bamboo-producing North-East, felt experts. Former Union Agriculture Minister Sharad Pawar sees in sugarcane cultivation a possibility of meeting the energy needs of the country to some extent. “The prices of petrol and diesel are all time high and the common people’s financial problems are going unattended to. It is in this context that upgrading our sugarcane crushing factories to ethanol production can be a good idea”, said Pawar in a co-operative seminar in Delhi recently. Pawar also thanked Union Minister Nitin Gadkari for taking interest and initiatives in this field. There is a great deal to be done in this field as out of a total of 738 sugar factories in the country only a few have taken come forward to upgrade themselves to ethanol processing, he lamented. Of these 738 sugar factories, about 329 factories belong to the cooperative sector, which is almost 48 per cent of the total. A resurgent co-op movement with the help and assistance of the govt may make a difference to the fuel-hike problem we have to face from time to time, was the crux of Pawar’s remarks. Union State Minister C R Chaudhary said the Modi govt is seized of the matter and a massive plan to make sugar factories ethanol based is underway. “Most of these factories are very old and our govt has begun granting soft loans to them to convert to ethanol-processing”, said the Minister. In June 2018, the Modi govt earmarked Rs 4,440 crore for soft loans to the mills willing to create ethanol capacity and also promised to bear an interest subvention of Rs 1,332 crore over a period of five years including moratorium period of one year, said C R Chaudhary in the Seminar.